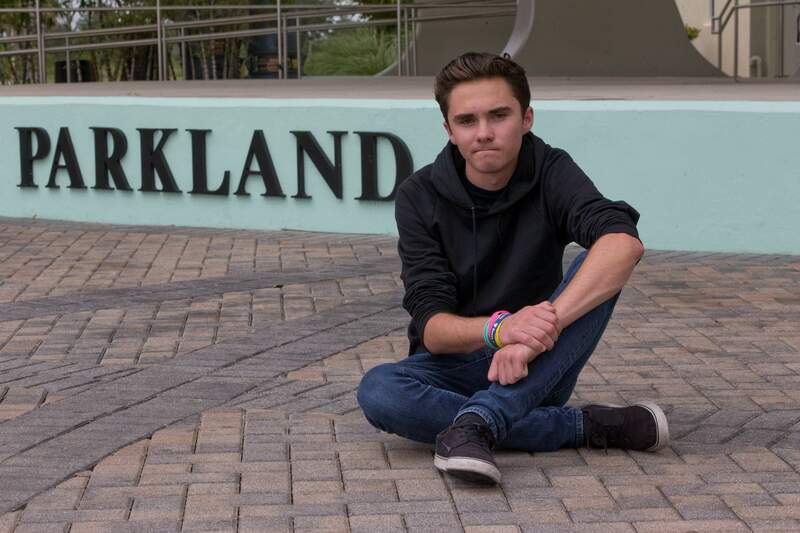 David Hogg, a senior at Marjory Stoneman Douglas High School, poses for a photo at Pine Trails Park on Tuesday in Parkland, Fla. Hogg, one of the leaders of the March For Our Lives movement, is spearheading the national effort to register young voters along with the New York-based organization HeadCount. They say students at more than 1,000 schools in 46 states are participating, with most starting their drives Tuesday. PARKLAND, Fla. – Students at more than 1,000 schools across the country are registering young voters in lunchrooms, hallways and even at upcoming graduation ceremonies in a week of activism aimed at electing lawmakers who support gun reforms in response to school shootings in Florida and Texas.